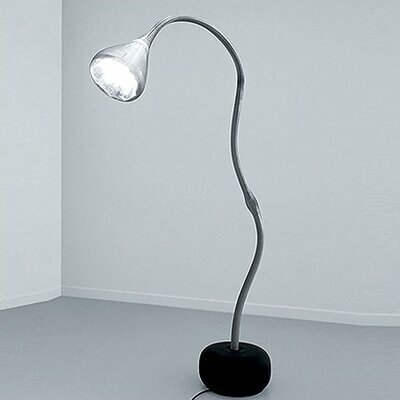 The Pipe floor lamp is perfect for adjustable indirect or direct diffused fluorescent lighting. The Pipe's body structure is made of steel with grey lacquered finish, composed of a rigid lower section and an adjustable upper section, enclosed in a translucent white silicon sleeve. The diffuser is composed of molded translucent white polycarbonate with an incorporated anti-glare reflector in specular aluminum with micro perforations for side emission of thin beams of light.